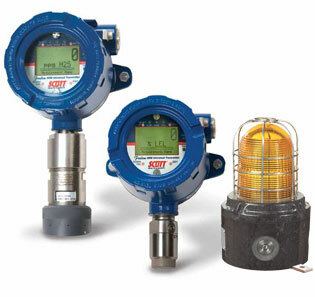 A gas detection system is designed to detect gas leakage or other harmful emissions. They usually form a part of preventive measures taken to ensure safety for all concerned. A sensor based system alerts the people in case of gas leakage and prompts for immediate evacuation thus guaranteeing safety for maximum people. Make your premises safe, with our most advanced gas detectors, smart sensors and gas monitoring equipment to meet your application requirements. A wide range of commercial and industrial gas detection equipment. Reliable and Low-maintenance line of gas detection transmitters, sensors and controllers provides continuous monitoring of ambient gas concentration levels. LPG detection system for kitchen, cylinder stores, plants etc.